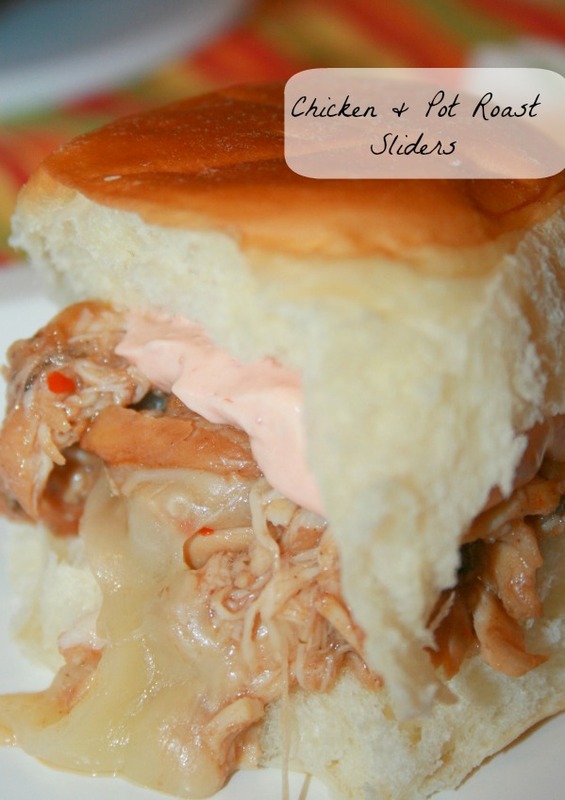 Pinterest is the best place to find new recipes to test. 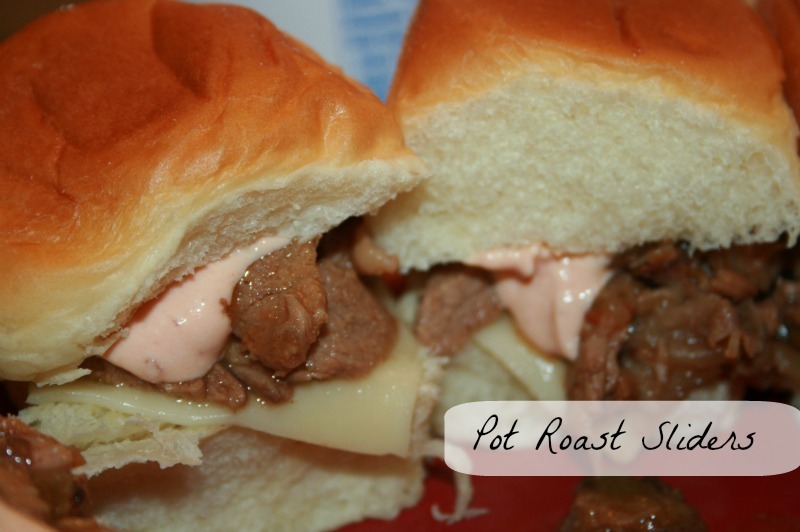 I found this Slow Cooker Three Envelope Pot Roast Sliders Recipe on Pinterest and when I clicked through I found it on one of my favorite blogs, Six Sisters' Stuff. 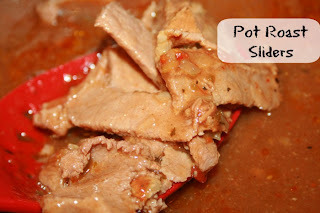 *My adapted recipe makes this with chicken or roast beef. The below spice mixture works with either meat and differs from Six Sisters' Stuff. 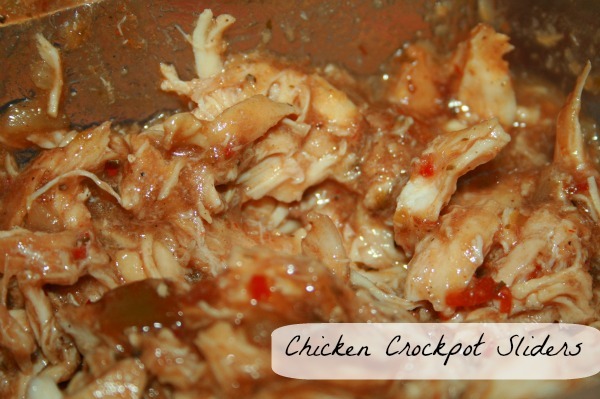 Add all the above ingredients, except meat, into the crock pot and mix together. Add in meat. 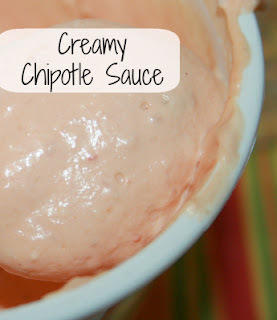 Use a spoon to add some sauce on top of meat. Cook 3 hours on high in the crock pot (or until meat is tender enough to slice or shred.) Once the meat is finished, I pull it out and shred or cut it in thin slices. I then add it back into the crockpot on warm for up to 3 or more hours. This seems to really get the meat tender and tasty and keeps it from drying out until ready to eat. Kitchen Note: If you can't find the dry onions in the seasoning aisle near the onion powder (I buy them all the time at Walmart) you can use 1 container of onion soup mix. I do not use the prepackaged onion mix because of it high sodium content and I don't think it alters the taste of the recipe to use just the dry onions. Just give it a quick mix. Add meat to bottom of bun and top with 1/2 slice of cheese. You can add this to the oven or microwave to lightly melt the cheese or skip the melting. Top with sauce, add bun top and eat! They are a tad messy! 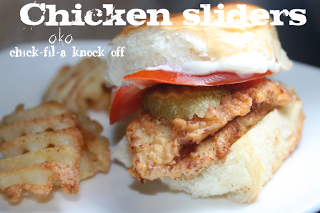 Sliders...what a great idea. I've been searching roast recipes for some new ideas because I've been serving more beef since discovering grass fed beef. My family will enjoy this. We just love sliders and this recipe is awesome. Can't wait to try this one! Thank you so much for celebrating TWO YEARS with FULL PLATE THURSDAY, I appreciate your visit! Thank you so much for stopping in and sharing your inspirational recipe with our Crafty Showcase last week! You rock!